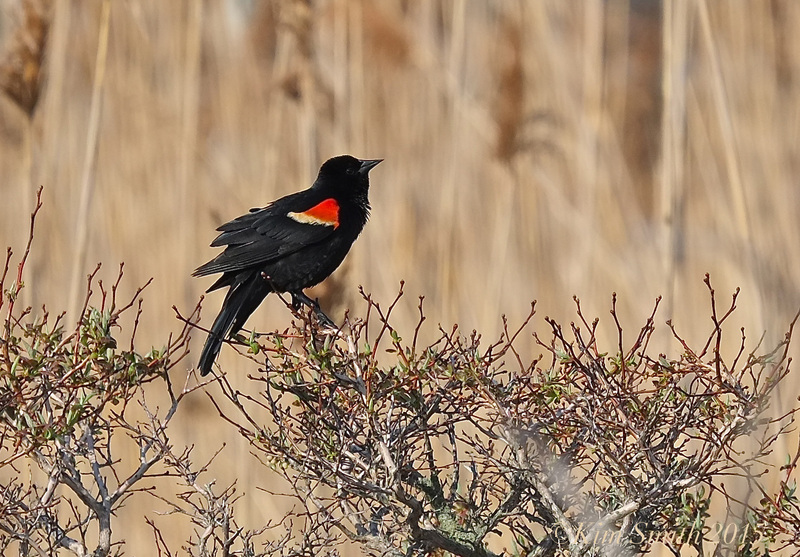 Heard at nearly every New England marsh, one can’t help but notice the beautiful and seemingly never ending song of the male Red-winged Blackbird. From sunrise to sunset he’s calling to his girl. Early this spring I set out to record the sounds of the marsh for my Monarch film. 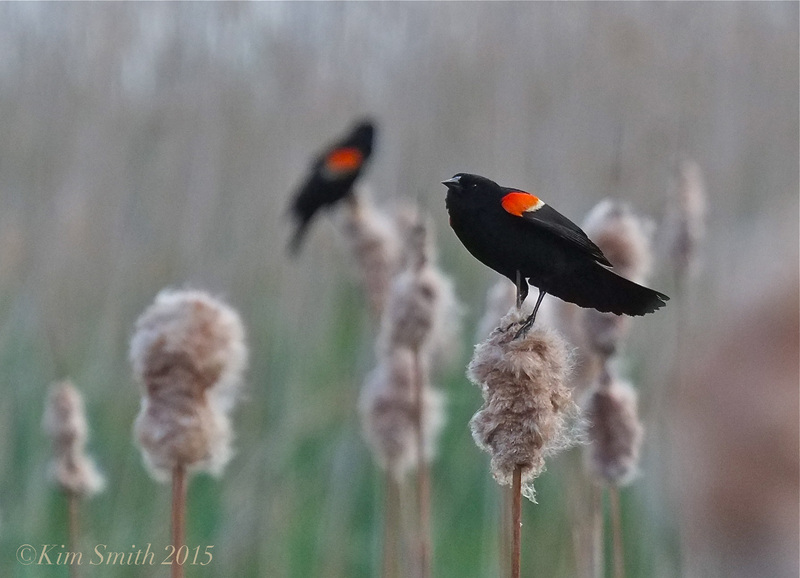 The male Red-winged Blackbirds are the stars of the marsh and while capturing their vocalizations over the past several months, I also was also able to capture footage of their fascinating behaviors. 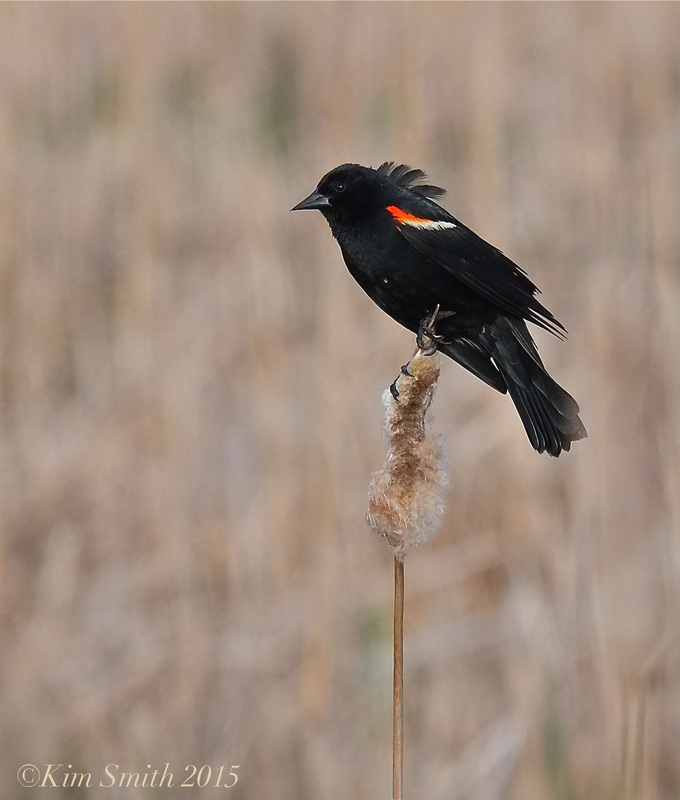 You’ll see many more males because they perch on higher ground, at the top of the cattails, phragmites, scrubby shrubs, phone lines, and treetops. 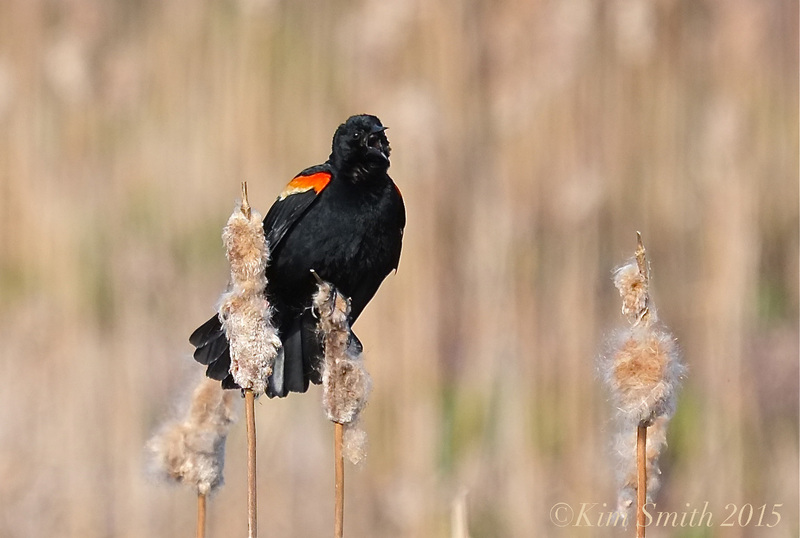 They are defending their territory through song and a showy display of red and yellow wing bars. 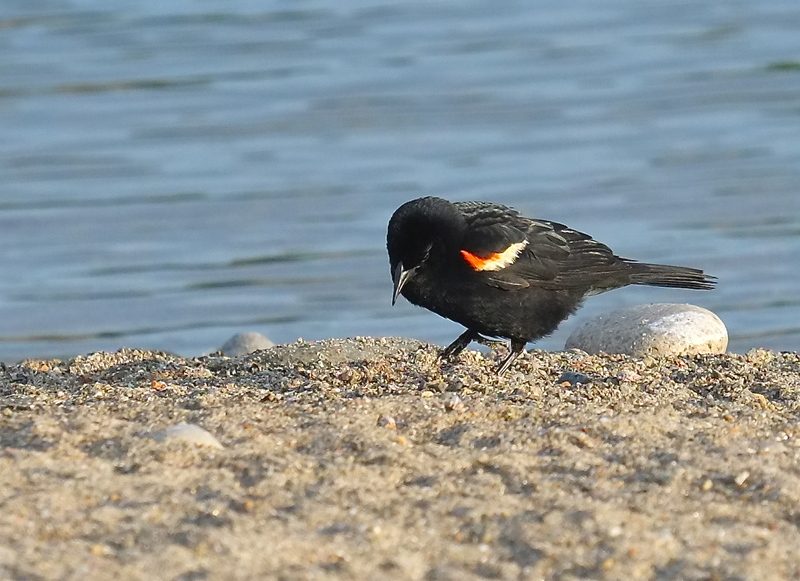 The males too, often swoop to the edge of the pond’s shoreline and peck at the sand. Plain Jane Female ~ What’s All the Fuss About! 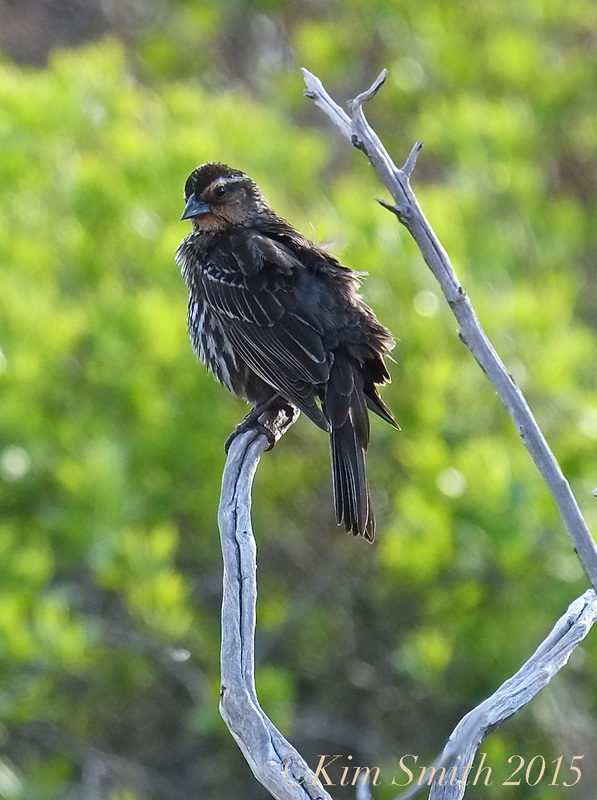 The female Red-winged Blackbird, with her more subdued feathers of brown and beige, typically stays closer to the ground, building her nest and eating insects. 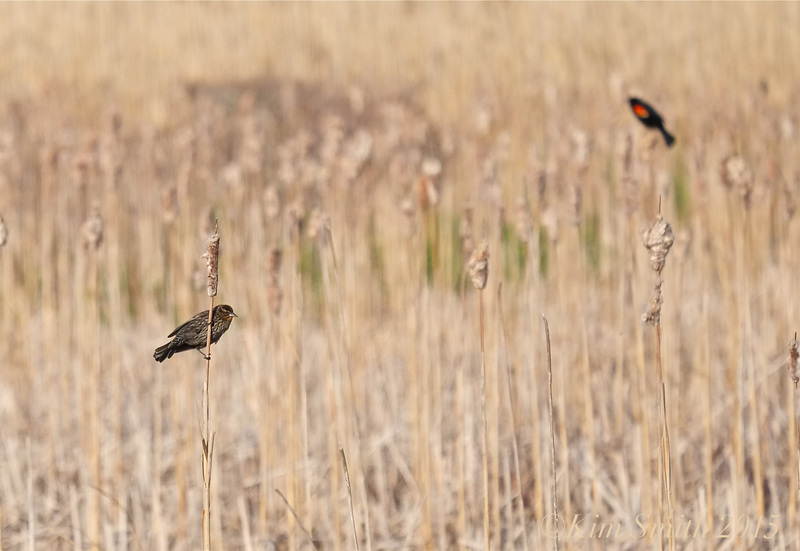 Female Red-winged Blackbird in the foreground with male in the background. As you can see in the photo, the female looks like a large dark sparrow. 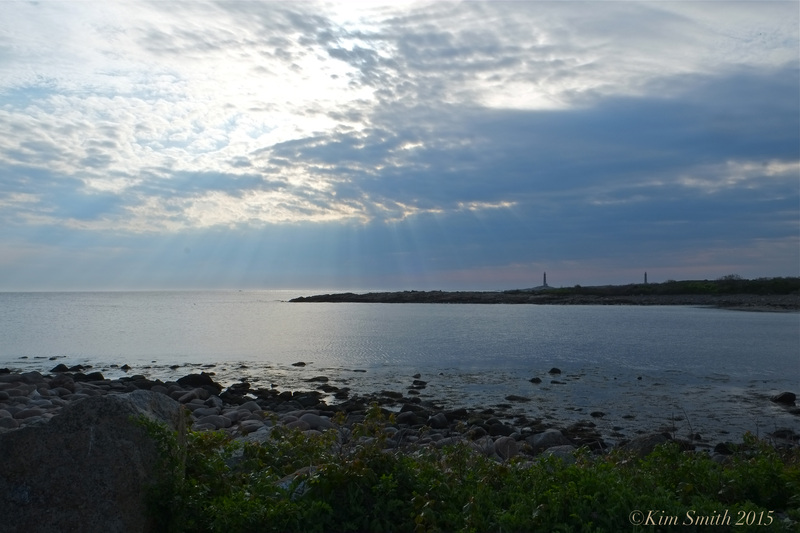 This entry was posted in Birds, Birds of New England, Life at the Edge of the Sea and tagged Agelaius phoeniceus, birds of cape ann, female red-winged Blackbird, Loblolly Cove, male Red-winged blackbird, marsh, Rockport on June 9, 2015 by Kim Smith.